Anything & Everything: Selamat Hari Raya Aidilfitri! 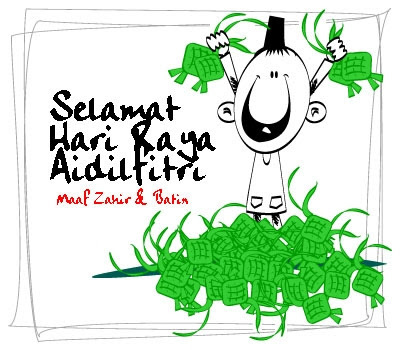 Selamat Hari Raya Aidilfitri too all of Muslim friends out there! Have a safe journey all the way back to hometown! Drive carefully, hehe. Yeah, can eat ketupat and lemang!! No..all stall close. No open..no food...horror.